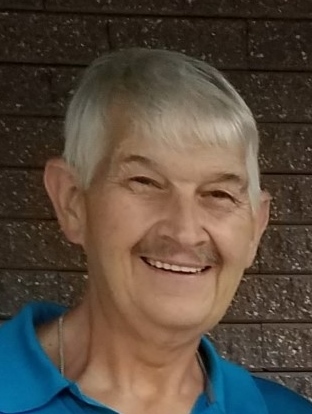 Kalwanaski, John, 66, Summerhill, passed away June 28, 2018 at home. Born May 15, 1952 in Johnstown, the oldest son of the late John "Click" and Mildred (Andrykovitch) Kalwanaski. Survived by loving wife of nearly 41 years, Deborah (Roush) Kalwanaski; daughters, Melissa Kalwanaski of Summerhill and Katie, wife of Timothy Roberts of South Fork; brother of George, and his wife Brenda of Ashville, and Uncle Edward Andrykovitch of Ebensburg. He is also survived by his in-laws, Ronald and Barbara Roush of Richland and Joel and Patricia Dumm of Nicktown, plus numerous nieces and nephews. In 1977, he married Deborah Roush at St. Joseph's Catholic Church in Portage, PA, which he told her he would do on their first date. John worked at Bethlehem Mine #33 in Ebensburg for 14 years where he was a proud member of the UMWA. He retired from SCI Cresson. Since then he had enjoyed being seen around town with his two dogs, Bojangles and Biscuit, who will miss him dearly. For many years, John was the drummer and lead singer for the polka band "The Merry Mixers", who could be seen at church picnics, weddings, and other events. John was a member of the Most Holy Trinity Catholic Church in South Fork, where he served as a Eucharistic minister and member of the church council. He is a member and past president of the Sacred Heart Ushers Club where he helped to create the semiannual gun raffle "smokers" that they hold each spring and fall. He was a brother Mason at Summit Lodge #312. Friends received from 4-8 p.m., Sunday at the Serenko-Claar Funeral Home, PC, Portage. Funeral Mass will be celebrated at 11 a.m., Monday at Saint Bartholomew Church, Wilmore. Father Joseph Nale, celebrant. Committal will be in St. Mary's Cemetery, New Germany.